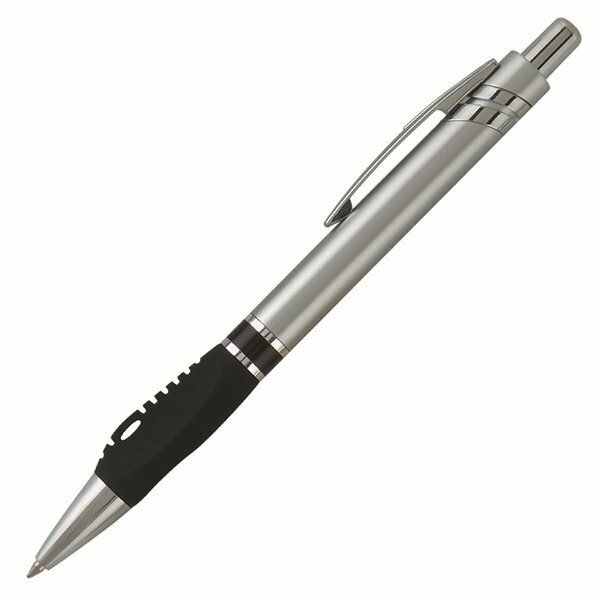 A texturized black rubber grip and a modern silver metallic finish barrel gives this plastic pen the look of metal. 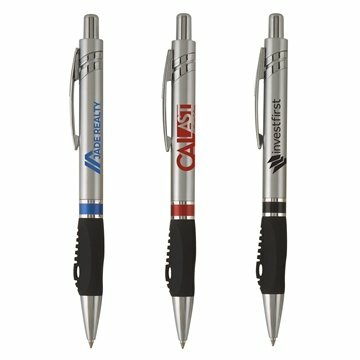 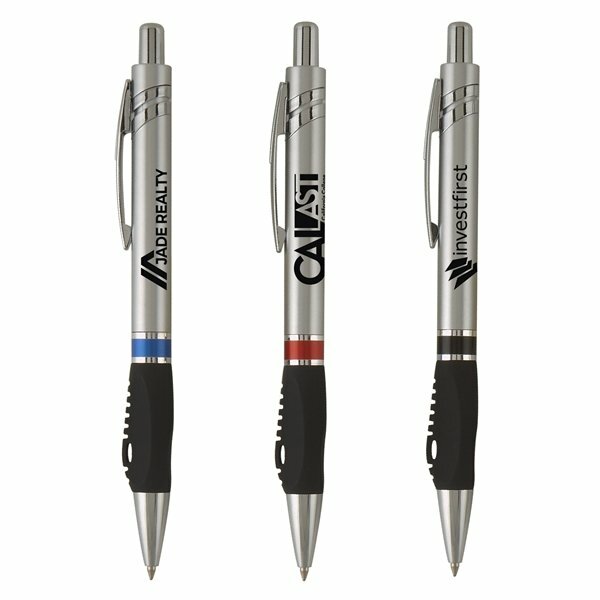 Customize the X-Grip quick-click pen with your logo and info. An excellent promotional item for automotive, technical, and recruitment industries and events.